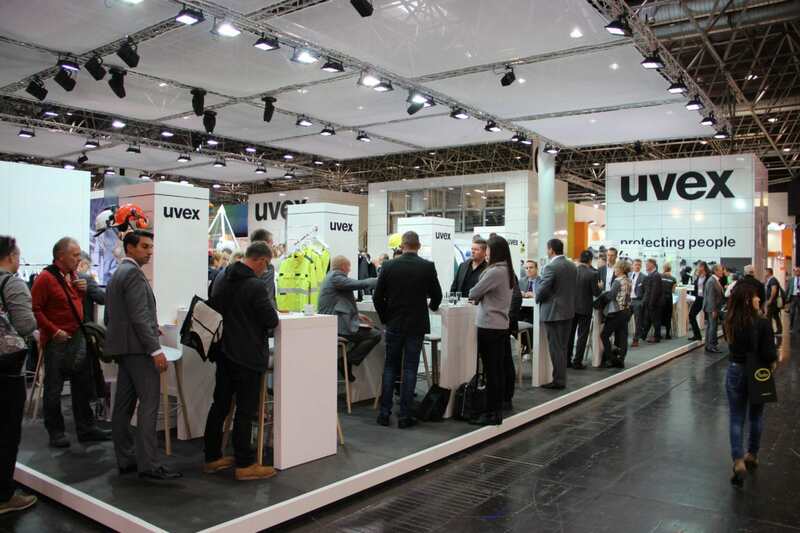 More than 65,000 visitors and 1,887 exhibitors from 57 countries came together at the 30th A+A trade fair, the world’s leading platform for manufacturers in the field of industrial and occupational health and safety. 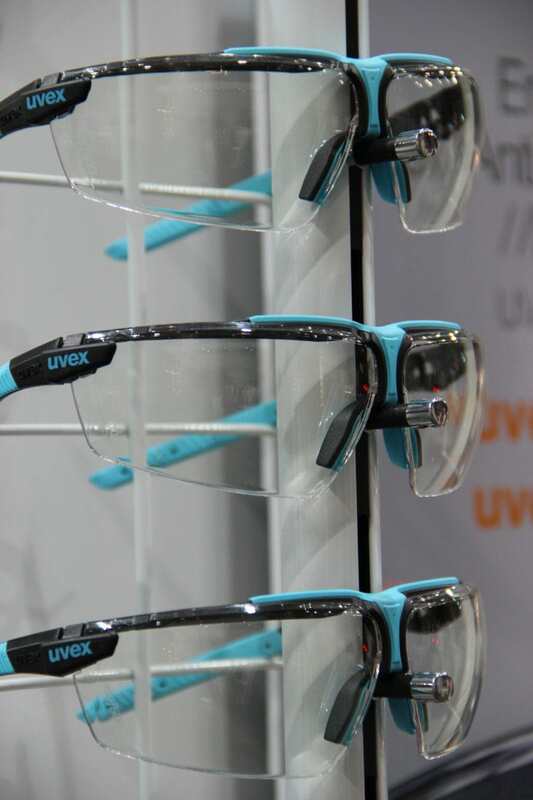 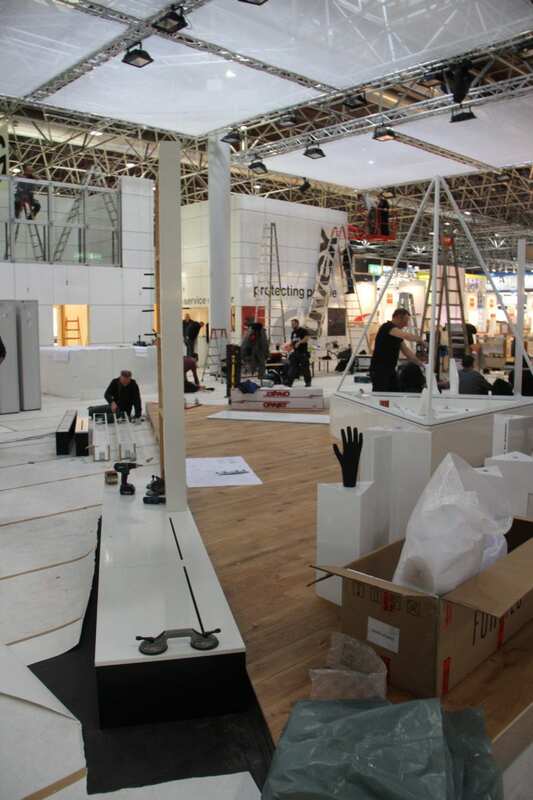 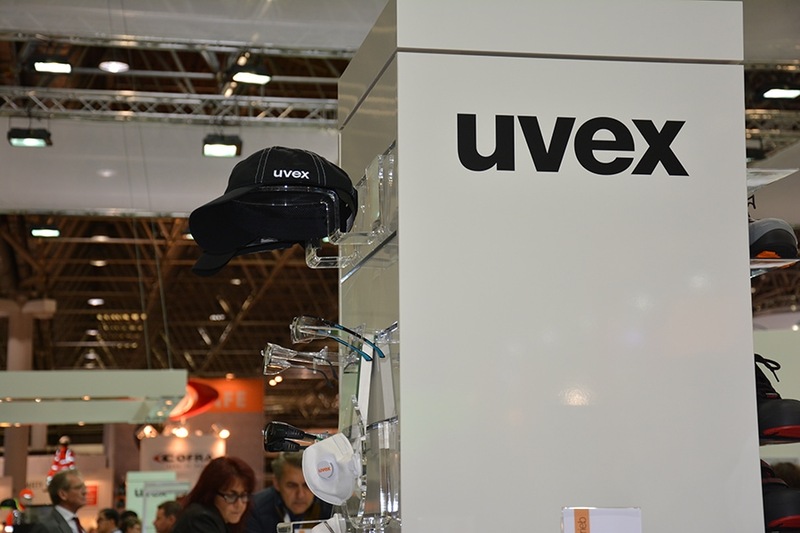 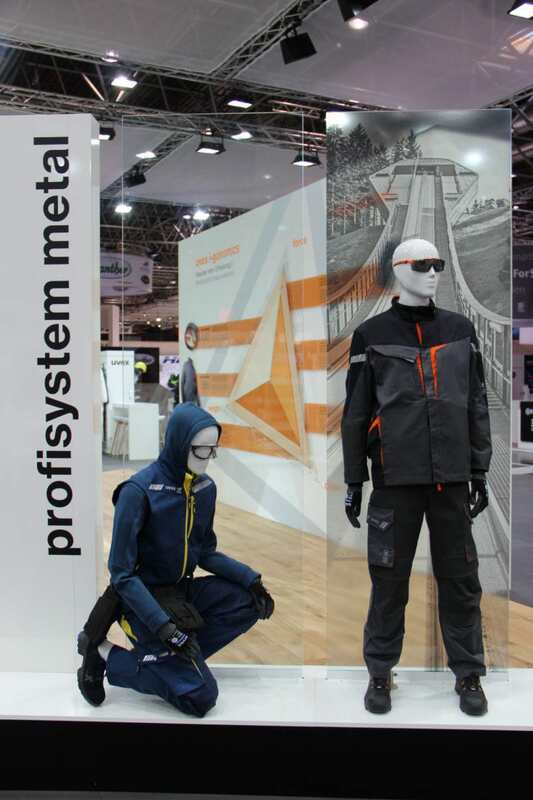 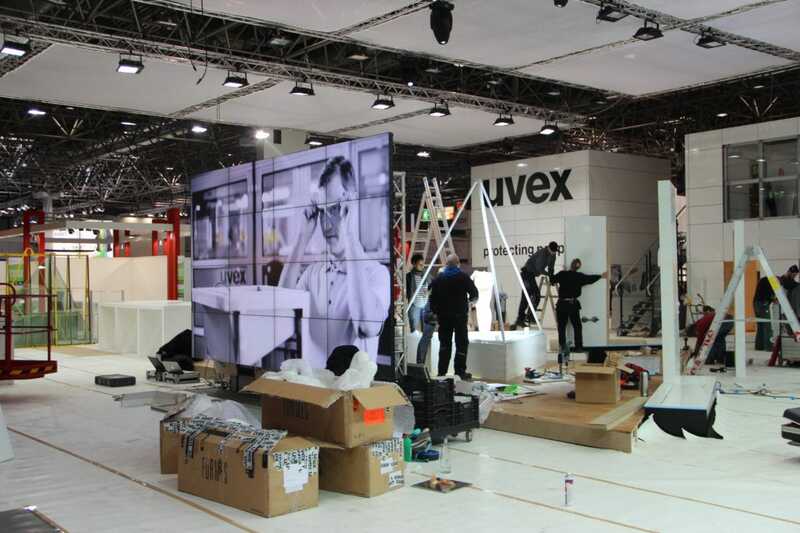 The biennial trade fair in Düsseldorf, Germany, is therefore also the most important event for the uvex safety group. 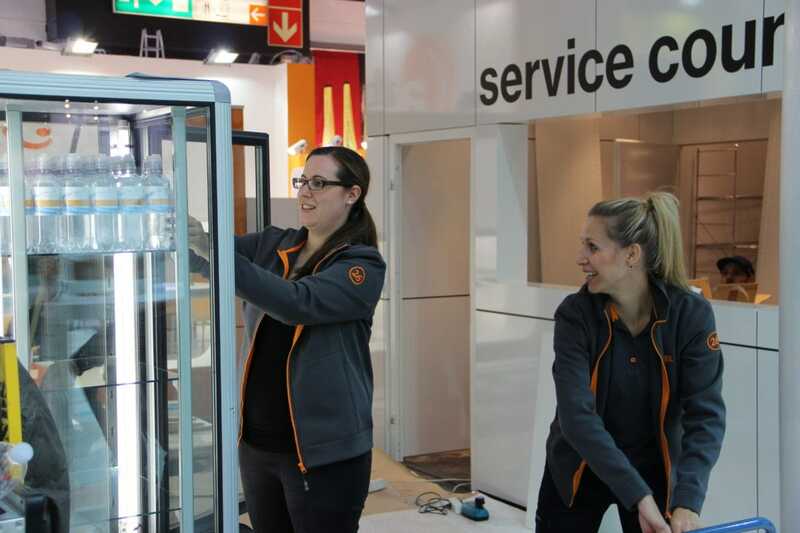 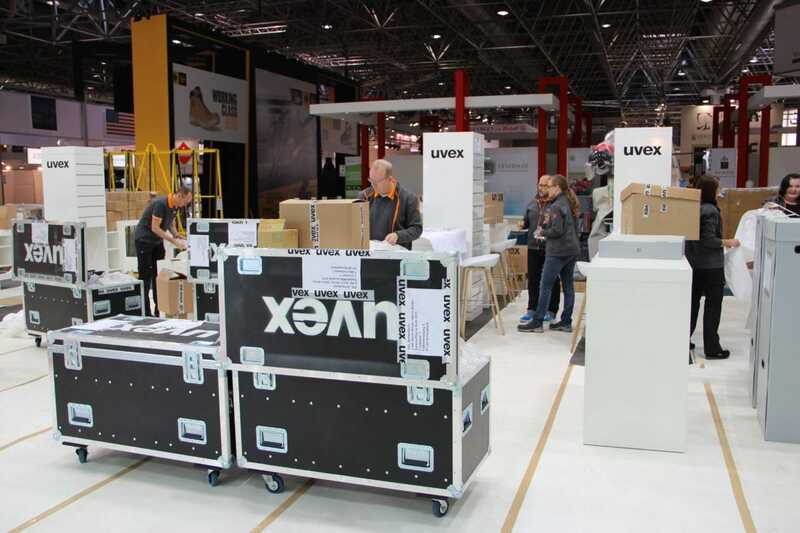 What did a visit to the trade fair hold in store? 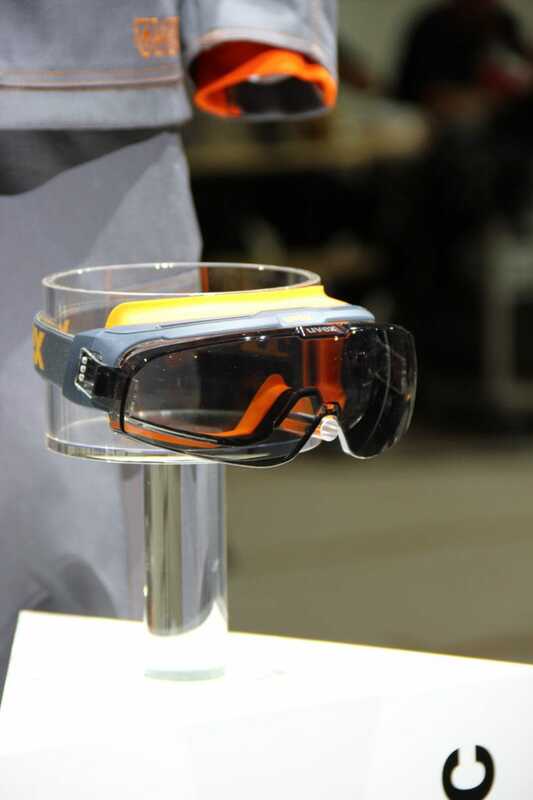 What innovations were presented there? 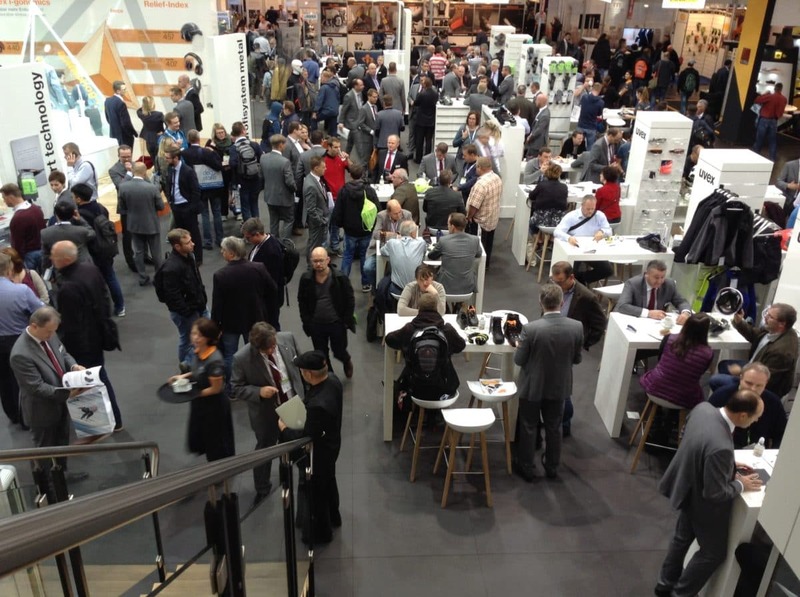 And what impressions did visitors form at a trade fair like this? 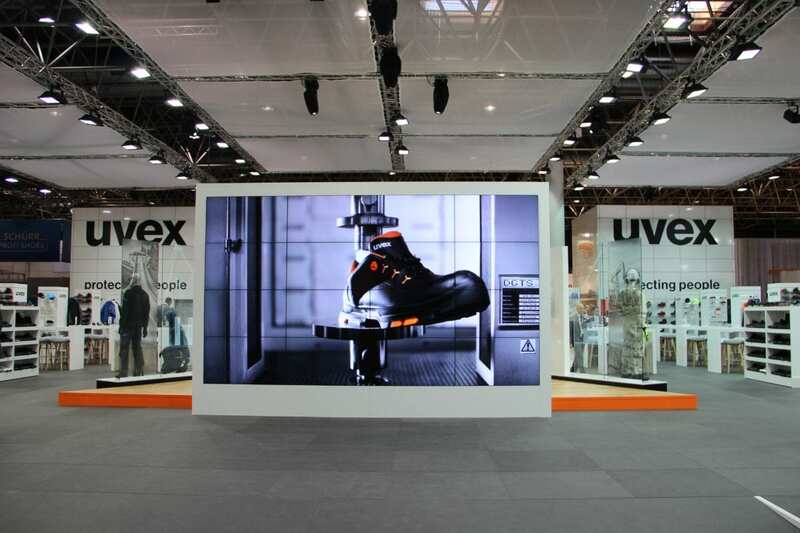 Karina Morozova, Communications Assistant for Corporate Branding & Marketing at the uvex group, took a look around the trade fair. 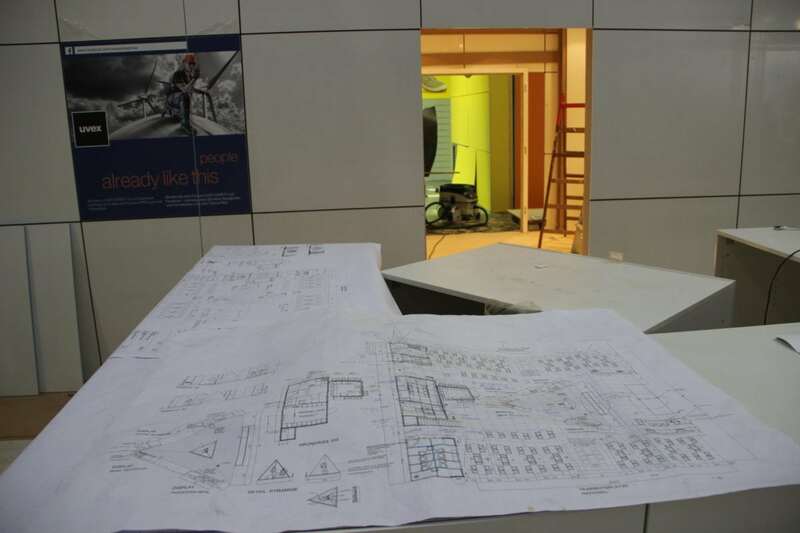 She describes A+A 2015 from the perspective of somebody whose working day is not directly focused on occupational health and safety. 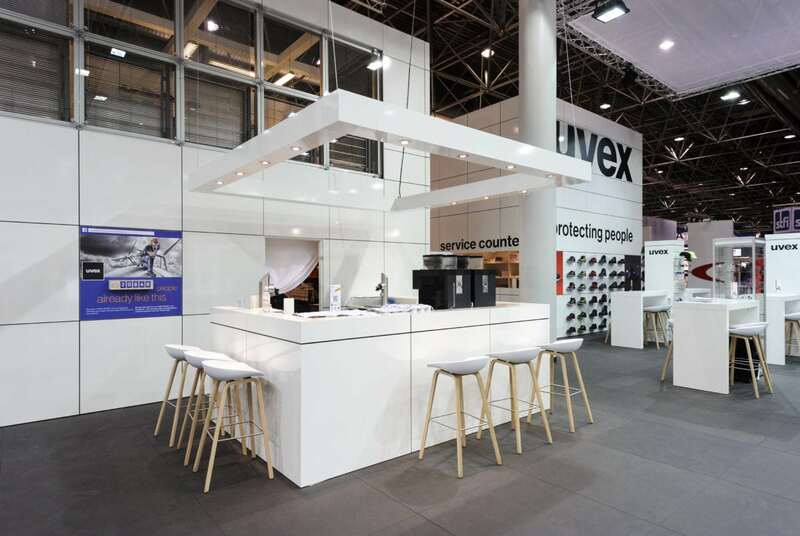 Covering a total area of 650 square meters and featuring a high white wall adorned with the uvex brand name, the uvex stand at the A+A 2015 certainly caught the eye from a distance. 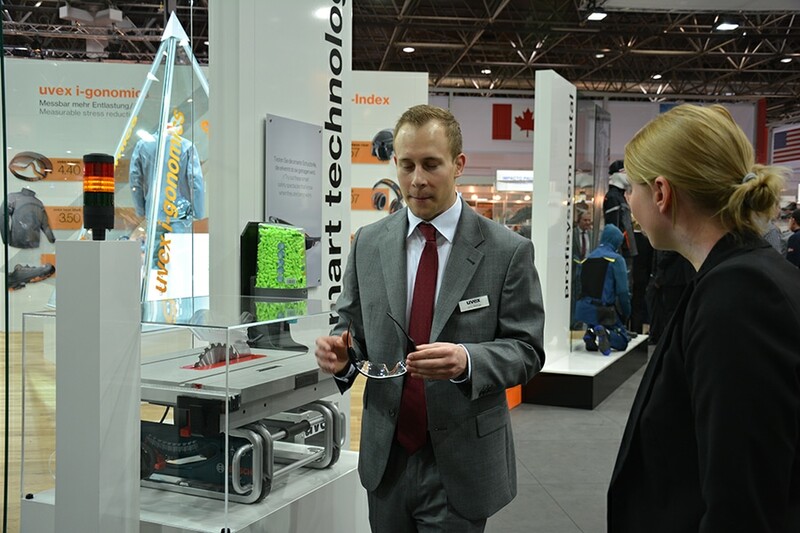 We were on site at the trade fair on the first day, eager to hear what experiences and stories our colleague could share with us. 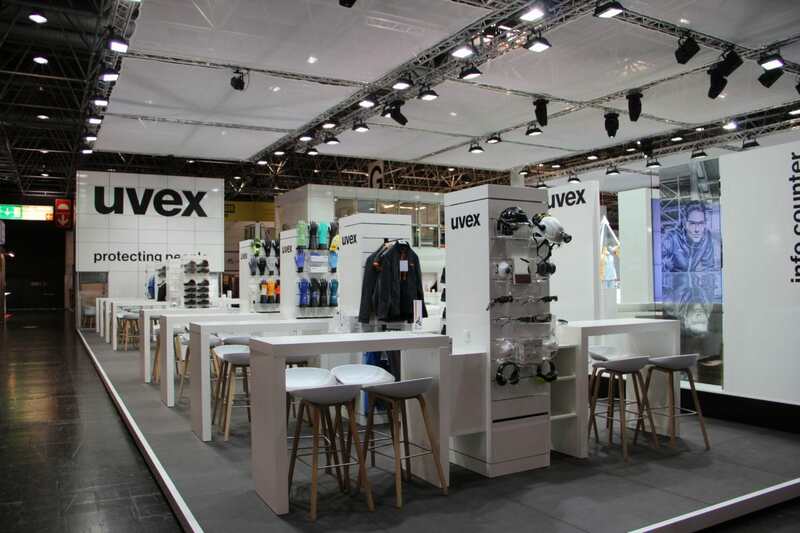 Hall 3, in which the uvex stand was located, became quite busy shortly after the doors to the trade fair were opened. 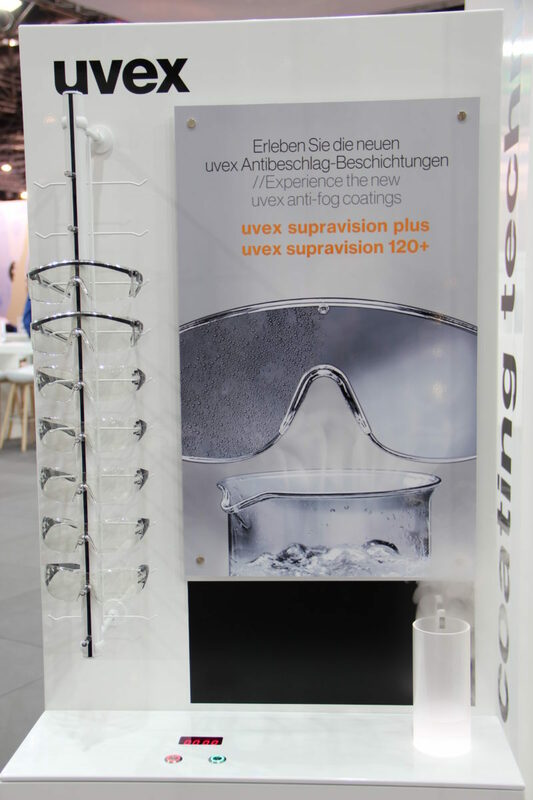 Thorsten Udet, Head of Marketing and Communication at the uvex safety group, revealed that a total of 120 uvex employees from all subsidiaries travelled to Düsseldorf to work on the largest stand at A+A 2015. 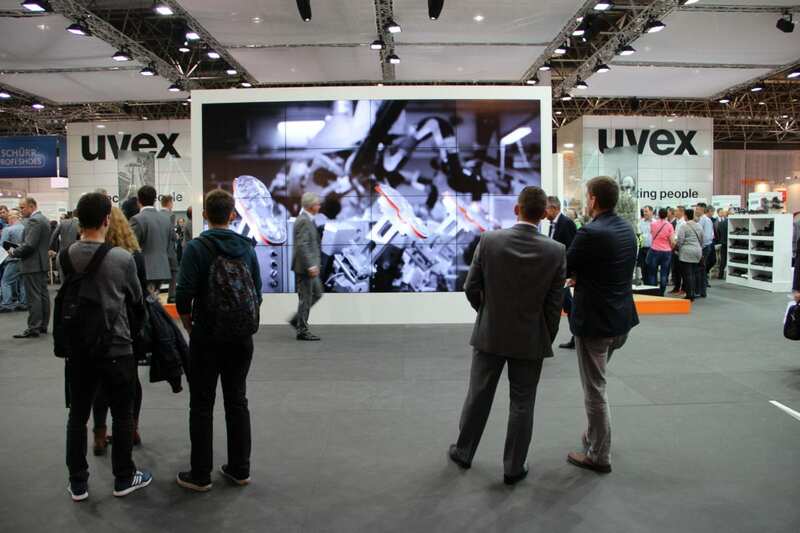 Throngs of inquisitive visitors had their questions on the latest product innovations answered by uvex experts. 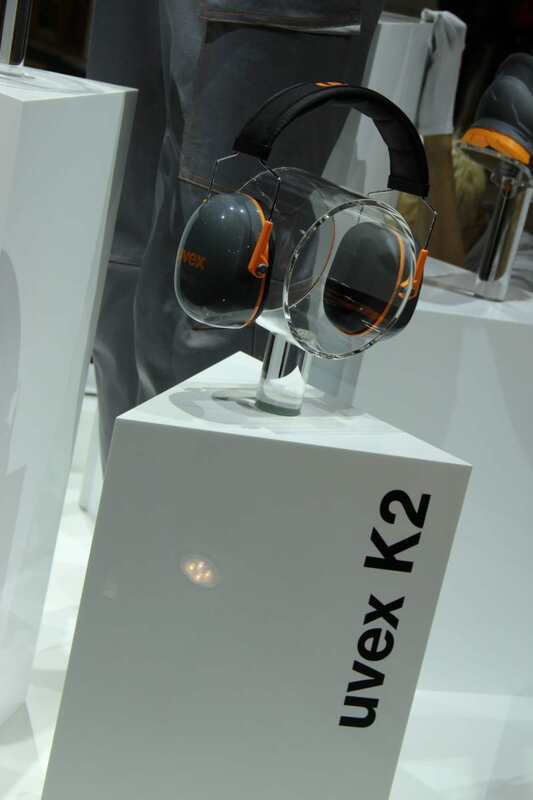 Junior Product Manager Jens Metzger is presenting eyewear innovations. 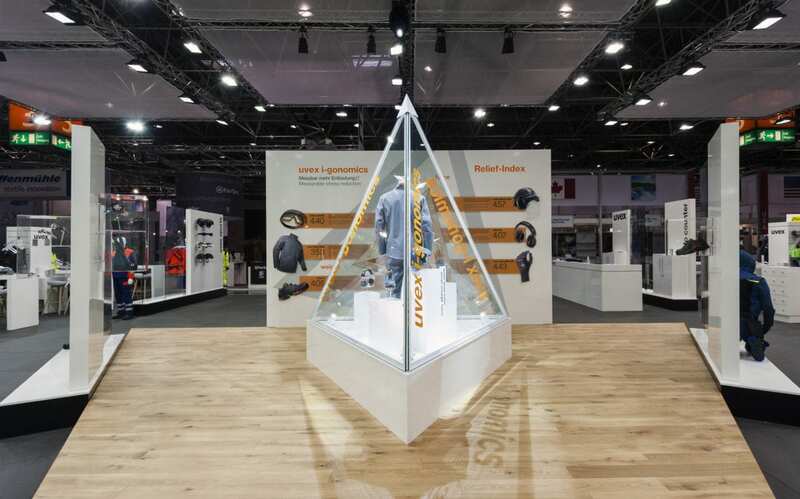 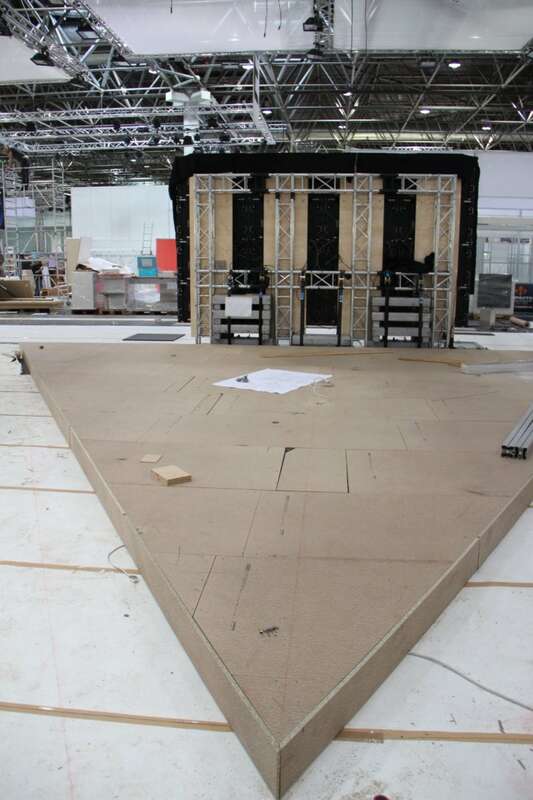 Naturally, we wanted to find out what the glass pyramid in the middle of the uvex stand was all about. 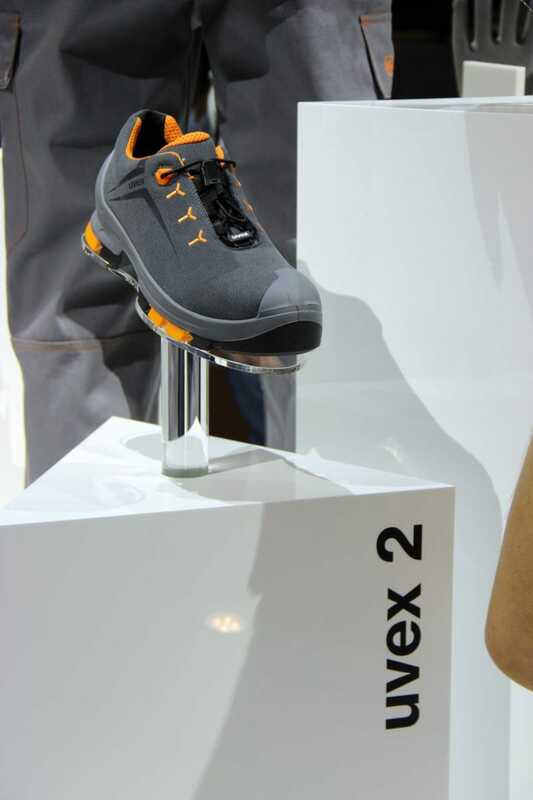 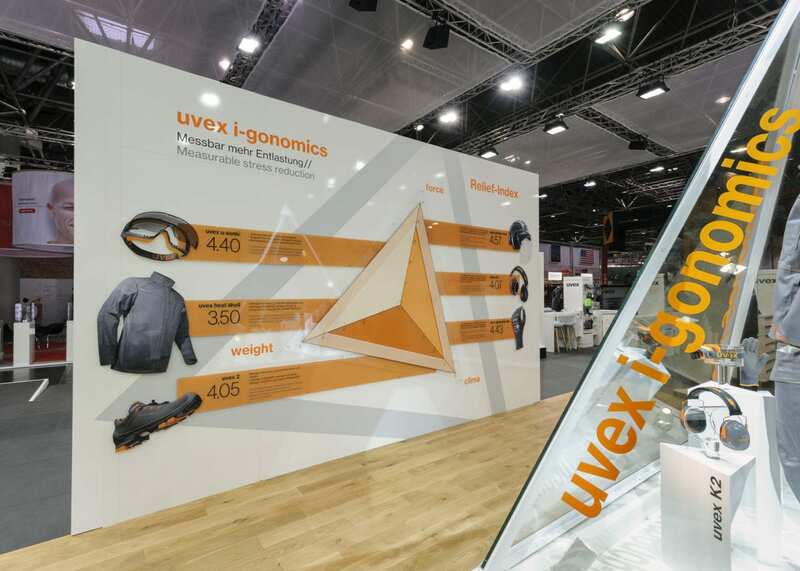 A selection of colour-coordinated products were on show inside; a large infotable revealed that this related to the new uvex i-gonomics product system. 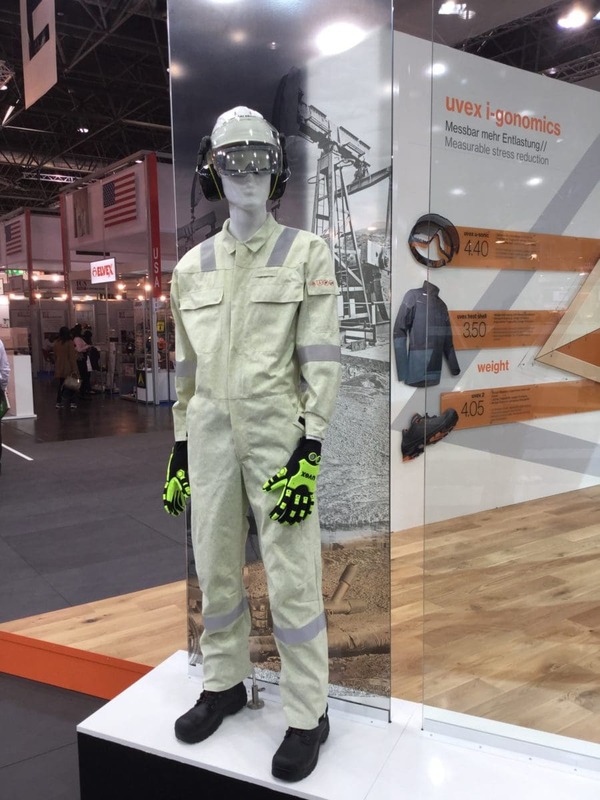 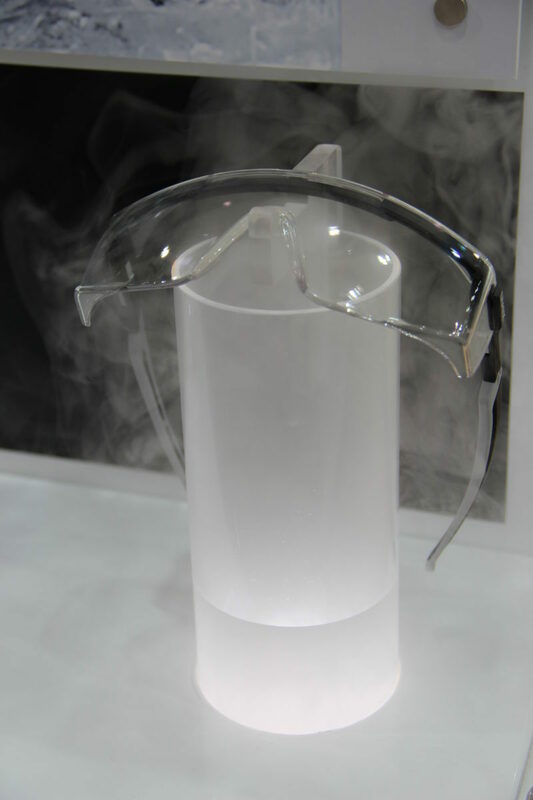 We learned that modern PPE not only protects wearers, but should offer long-lasting and measurable relief to them during their work activities. 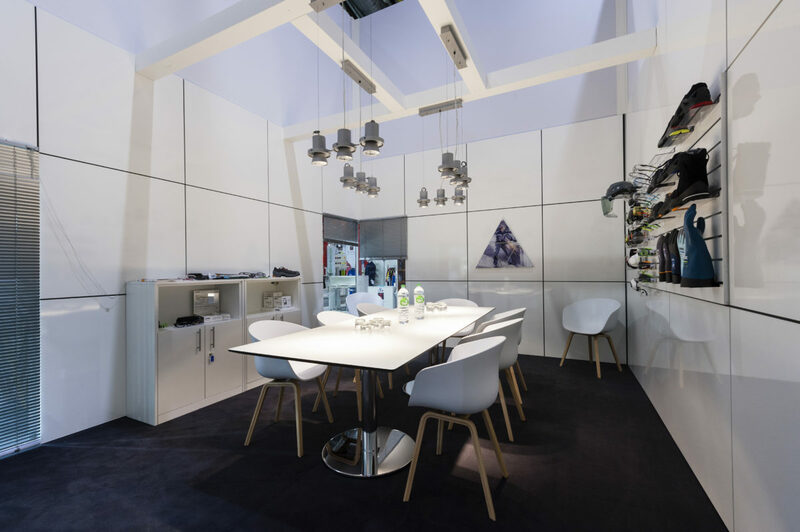 This is a future-oriented approach in the face of demographic developments in Germany and can be seen as an attempt to maintain the population’s sound health. 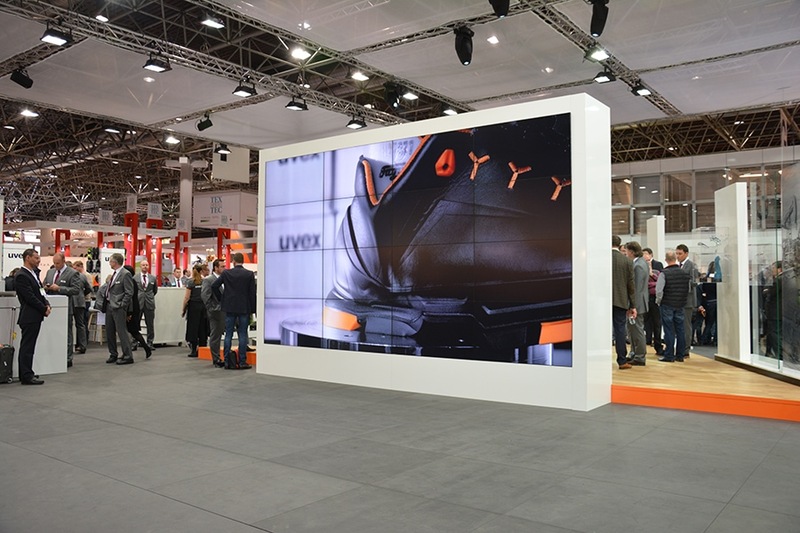 After many hours spent exploring the fascinating innovations, a long and tiring day at the A+A 2015 drew to a close. 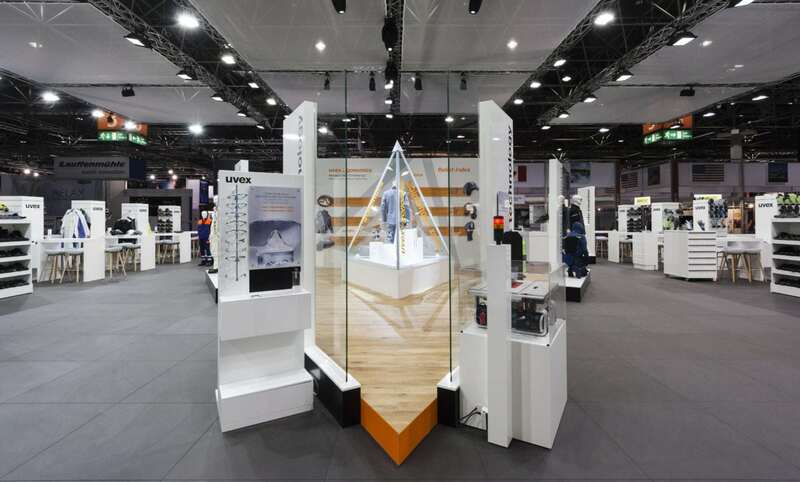 We hope that our colleagues enjoyed a successful few days at the trade fair and are already eagerly anticipating the next instalment in 2017.